Do you know which non-fiction features teachers and librarians look for in children's books? Many writers are cashing in on the swelling tide of demand for children's non-fiction. Those who sell are giving the adults who buy the books what they want. Sidebars are the nuggets of information set off from the main text. Sidebars show up most often in magazines, but they also appear in scientific or historical texts. They usually contain information related to, but not central to, the main idea. Sidebars are short and self-contained. In traditional publishing, the publisher provides the illustrator. If the work is non-fiction, the author may provide tables, maps, graphs, photos, or other illustrations to enhance the text. 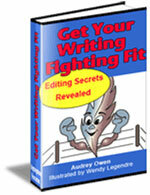 If you self-publish, you will need to find your own graphics. Although a picture is worth a thousand words, captions help understanding. Many captions will consist of two sentences. The first will draw attention to a feature of the graphic and the second will offer a sense of meaning. For example, a photo that shows an turtle might say, "The turtle carries its house on its back. It can hide from enemies any time or place." This feature appears only in children's books. Teachers want children to learn to recognize difficult content words. A pronouncing guide will help. The writer spells out the words phonetically, often in parentheses. Syllables with emphasis often appear in capitals. For example, "The gila (HE-la) monster is a kind of lizard." The glossary is like a special little dictionary, usually in children's books. It lists important content words at the end of a book and gives an easy-to-understand definition. The index is also at the end of the book. It lists important concept words and gives the pages where the information is found. If you are submitting a manuscript to a traditional publisher, you can suggest words to include in an index. If you are self-publishing, you will want to do the page numbers after the rest of the book is laid out. Check with your layout or typesetting professional to see at which stage they want to include that information. Young children do not look for a bibliography, but increasingly, teachers expect some means of checking either your sources or supplementary material they can use to expand on a given text. Now that so many children are web-savvy, you can include URLs for your topic that are suitable for children. Few children's books have all the non-fiction features listed above. Some will be heavily illustrated, others will have only one or two pictures per page. Some will have tables. Other subjects do not need tables. Some will need a glossary, others an index. Many will make use of a pronunciation guide. 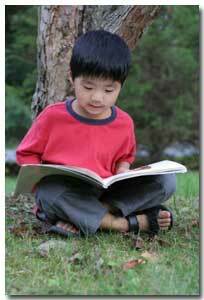 Choose the non-fiction features you need carefully and you will increase your sales of children's books. Books for those interested in Non-fiction Features of Children's Writing.